Raymond Cauchetier�s name is synonymous with his candid shots of nouvelle vague stars, but his career goes far beyond set photography. A new exhibition at the James Hyman Gallery, including never before editioned photographs, brings him to reflect on his unusual path. �I�m famous here for Nouvelle Vague photographs but far more famous in Indochina for pictures like these,� Raymond Cauchetier says, gesturing to two pictures taken during his time in Laos, Cambodia and Vietnam. They are the only ones in the James Hyman�s Mayfair�gallery that give us a glimpse of the other side of Cauchetier�s photographic career. Cauchetier has travelled to London for the first time to mark his 95th birthday, and to witness the opening of his first ever solo show in the city. Cauchetier has become synonymous with French cinema�s iconic 1960s movement Nouvelle Vague thanks to his frank shots of on the sets of directors like�Fran�ois Truffaut and�Jean-Luc Godard, capturing�performers�like Jean Paul Belmondo, Anna Karina and Jean Seberg on films like�A Bout de Souffle�(1959)�Une Femme est Une Femme�(1960),�Jules et Jim�(1961) and�Peau de Banane�(1963). Cauchetier is still full of energy, snapping pictures of the journalists with his Leica. �My first camera was a Rolleiflex,� he says. �The advantage is that it�s very solid, when it falls in the water, you only need to dry it once and it works again. Yet, Cauchetier became a photographer �almost accidentally, while working in the press corps of the French Air Force in Indochina. At the urging of General Chassin, who wanted to create an album for the personnel, Cauchetier bought a Rolleiflex and started photographing the experiences of the Corps. 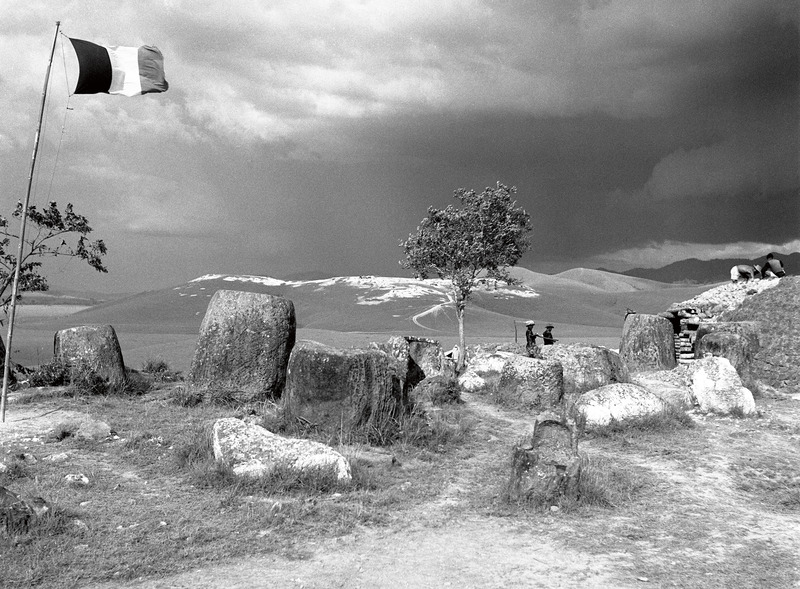 After he left the army, he carried photographing. Upon his return to Paris,�Cauchetier�began mixing with a circle of film critics from Cahiers du Cinema, chief among them a young Jean-Luc Godard. 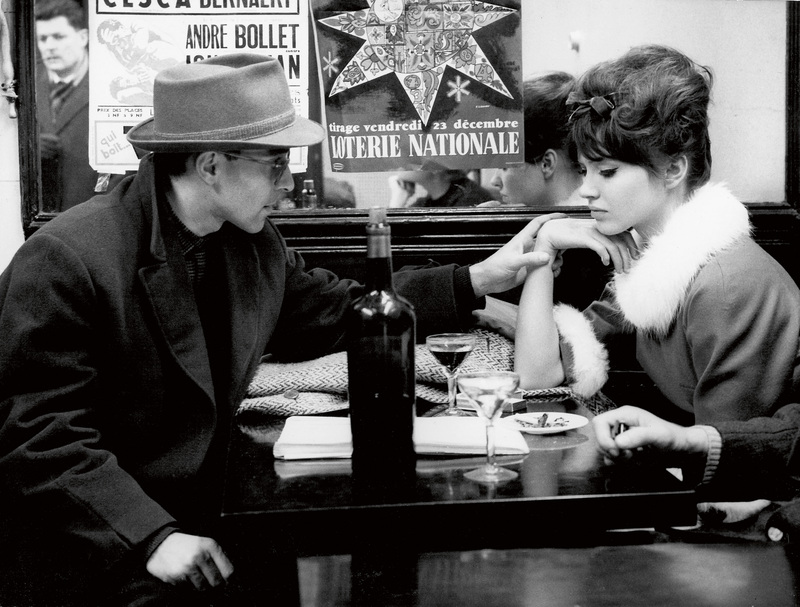 In 1959,�Cauchetier�was hired as the on-set photographer for Godard�s first feature,�A Bout de Souffle. 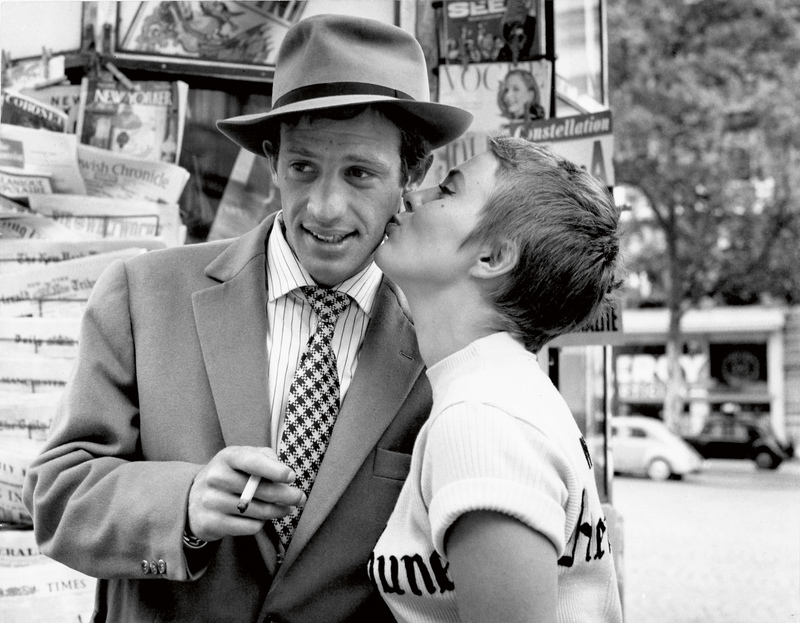 He photographed Jean Seberg and Jean Paul Belmondo walking down the Champs Elys�es, or Seberg in her New York Herald Tribune t-shirt, with behind-the-scenes, in-between takes that offer how unorthodox, how free, Godard and his performers approached the process of filmmaking. There�s a refreshing matter of factness to Cauchetier, who describes his work as more photo-journalism than artistry. In Indochina, as on the film sets of Jean-Luc Godard, he approached photography like a reporter, without intervention on his part. It set him apart from�other on-set photographers, whose aim was simply to create publicity stills. Cauchetier was leading a quiet revolution of his own on set, rebelling against the monotonous aspect of his job description. �Before, set photographers didn�t work like this. After a scene, everything was reconstructed, the photographer took a shot and then disappeared. I thought that was stupid,� he says. While his Indochina pictures were always properly attributed, his film set shots remained anonymous. Then, in 1992, the law changed in France, returning copyright to photographers. Cauchetier�s film set photographs were properly attributed, and revealed to the public, for the first time. �I became their owner again,� he says. One of the highlights of Cauchetier�s career, he says, was being invited by the King of Cambodia, Norodom Sihanouk, to take photographs of his country for tourism material. Cauchetier spent a week travelling the country. He was given everything he needed, including a helicopter. He created thousands of pictures and left with just a few copies while the rest were stored in a special air-conditioned safe in the palace. Not long after his visit, the king was deposed. Then, in the years after the Vietnam war, the next regime was overtaken by the Khmer Rouge, whom destroyed the 3000 photos contained in the safe. I ask him if he has any favourite pictures from his oeuvre. Cauchetier shifts uncomfortably, gesturing towards his image of Ha Long Bay, �taken in Vietnam in 1953, a sunset that he is fond of, before changing his mind.